It’s a Super Saturday and we have a couple of matches today in the IPL 2019. The first match is between Mumbai Indians are all set to lock horns with the Rajasthan Royals at the Wankhede Stadium, Mumbai. This is the first time that the two teams are facing each other in the IPL 2019. And the news from the centre is that the Rajasthan Royals have won the toss and have elected to field first. LIVE MI vs RR, Live Cricket Score of IPL 2019 Match: Get Live Updates of Mumbai Indians vs Rajasthan Royals. Both the teams have had quite a contrasting fortune in the IPL 2019. While the Mumbai Indians have won their last three games, the Rajasthan Royals have won one out of three games. The only game they won was against the Royal Challengers Bangalore. Ajinkya Rahane and men lost the game against the Rajasthan Royals and the Chennai Super Kings. Talking about the IPL 2019 points table, Chennai Super Kings continue to dominate the same as they are on number one of points standing. Kolkata Knight Riders are on number two with eight and Mumbai Indians are placed on number three with eight points. The fourth slot of the points table is occupied by Delhi Capitals with eight points in their kitty. 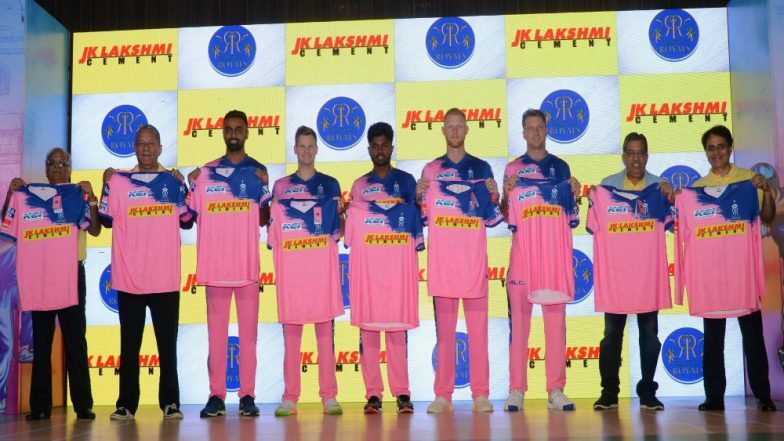 Here's the playing XI for Rajasthan Royals. Stayed tuned to our page for the live updates of the match here.